The Visiting professorship programme aims at strengthening the internationalization of the School of Architecture, Urbanism and Construction Engineering and of the Department of Architecture and Urban Studies, by welcoming a foreign scholar for a semester term. The visiting professor will be in charge of lecturing one full course at the School for the period of her/his visiting position, developing autonomous research activity at the Department of Architecture and Planning, joining seminars and academic venues. 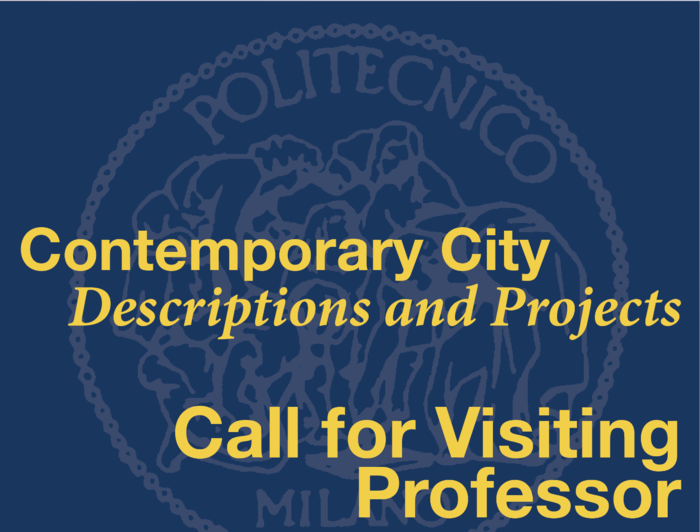 The visiting professor will be in charge of lecturing the course Contemporary City: Descriptions and Projects. Contemporary City: Descriptions and Projects is a course offered at the second semester to the students enrolled in the first year of the Master of Science in Urban Planning and Policy Design. The course will be taught in English, it equals 8 ECTS credits and consists in 6 hours of teaching per week, for a total of about 80 hours. It is scheduled in the spring semester (mid February 2018 – mid June 2018) and has an attendance of about 80 students. Two dates for final examinations of attending students shall be fixed in June‐July 2018. The course aims at analysing and discussing core issues of contemporary urban planning and design with reference to a multi‐scalar and interdisciplinary approach. The analysis of major changes in the European and/or non‐European urban realm may consider a critical discussion of new urban landscapes and development patterns, the emergence of new city forms, the issues at stake in historical city centres, problems and dimensions of contemporary practices in the domain of planning and designing contemporary cities. A complex understanding of contemporary planning challenges shall be presented, considering the impact of regional, demographic and socio‐economic changes on urban design, urban policy and programs. A critical reference to a set of international case studies will be very appreciated. The course is rewarded with a gross compensation of 24.800 € (Please consider that the average income tax in Italy equals about 46%. Other arrangements may be verified). 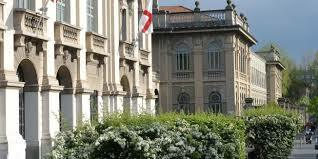 The Politecnico di Milano is one of the most outstanding Universities in Europe and ranked by the QS World University, Engineering and Technology 2011 among the leading universities in the world. 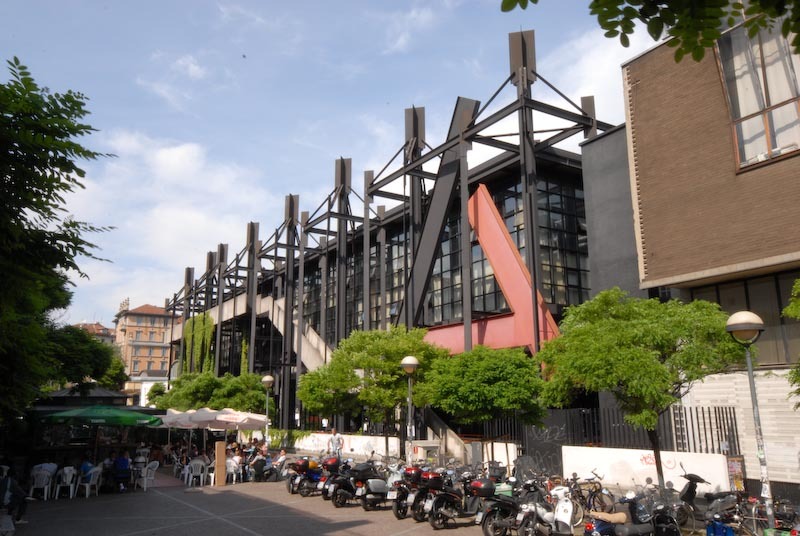 Funded in 1863, it is the largest school of architecture, design and engineering in Italy. The Master of Science in Urban Planning and Policy Design is a renown program which is taught in English since 2006 at the School of Architecture and Society. The proportion of international students is relevant and produces a stimulating environment both for teaching and learning. The Master of Science Programme is rooted in a polytechnic tradition, bridging urban design, regional studies and social sciences. The programme aims at developing a wide scientific and professional education in urban planning and policy making. The aim of the programme is to train professionals who can deal with the multiple and complex issues of the contemporary policy agenda of cities and regions. Students who graduated from the Master of Science Programme usually work for international organizations, local governments, research institutes, real estate companies, private offices. The courses are held at the central City Campus Leonardo in Milan. The course is currently directed by Prof. Bertrando Bonfantini. Qualified research staff and Phd students with significant international and professional experiences are involved in the tutorship and teaching activity. Directed by Prof. Gabriele Pasqui, The Department of Architecture and Urban Studies is now the second largest Department of Politecnico di Milano and the largest in the field of Architecture; furthermore it is also an important research centre in Italy for urban and spatial planning issues, enjoying in a well established international network of centres of excellence. The visiting professorship program is open to highly qualified foreign scholars in the discipline of urban planning and related fields (e‐g. Urban Studies, architecture, urban design, geography). Applicants must be affiliated to an academic or research institution. The application and the set of files shall be sent to the address: dastu@polimi.it with the title/object “APPLICATION FOR VISITING PROFESSORSHIP DASTU 2017/2018”. An email acknowledging the receipt of the application will be sent. • A short list of selected candidates will be made by May 31st, 2017 and a Skype colloquium will be scheduled. • Final results of the selection will be available by June 15th, 2017. For any further information, please contact dastu@polimi.it with the object “VISITING PROFESSORSHIP INFORMATION”.